I have been working on a couple of new projects this year, one I can share now and the other later in the week once it has had time to dry. 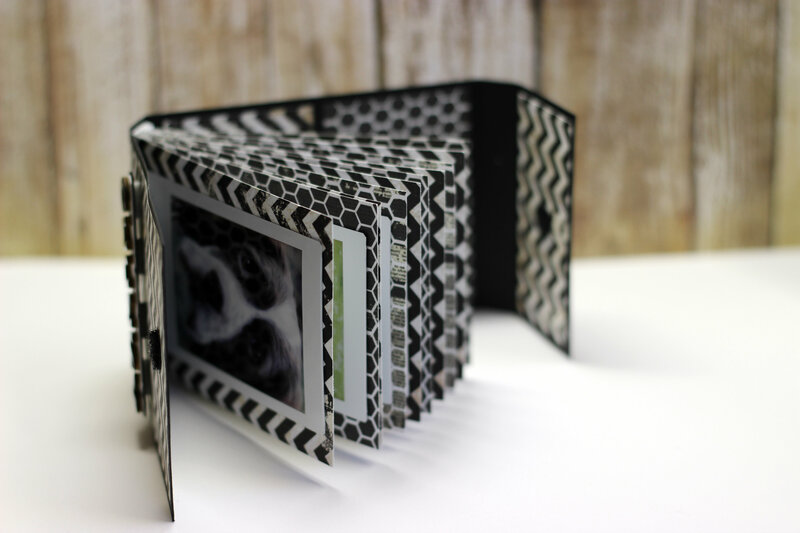 I made this photo book/wallet today live on UstreamTV. 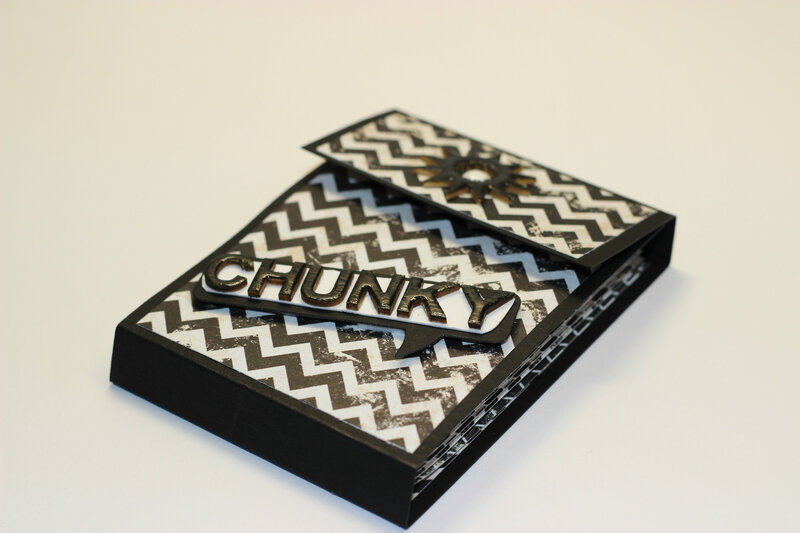 I wanted something to display my Instax Polaroid Photo’s in and this little wallet is just the ticket. I have uploaded the content onto my Youtube Channel. You can also follow along with the video on Youtube, but it is lengthy and I chat quite a bit with my crafty friends on Ustream as it recorded live, just in case you think I have lost the plot lol! 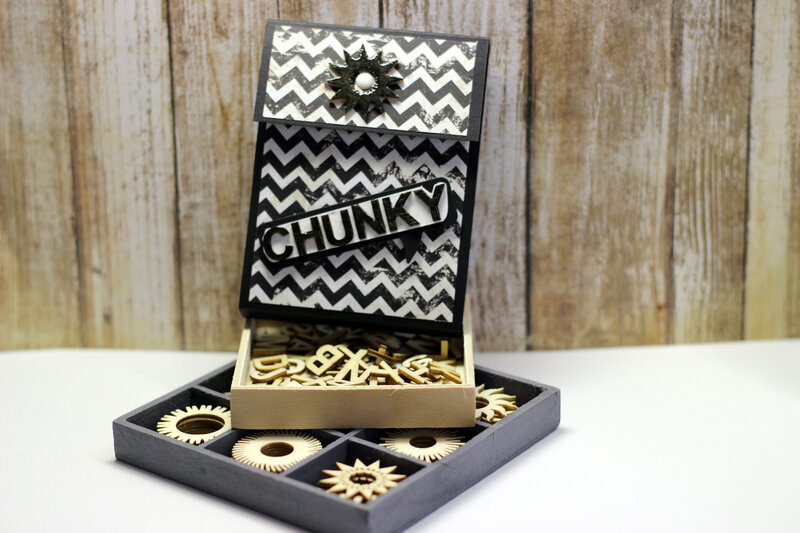 I also added some of the Tim Holtz Chit chat and Small Talk self adhesive words once the Instax Polaroid Photos had been fixed into the book. I hope you enjoyed this week’s project, I will see you all next week. As always, thanks so much for your support and for popping round, have a great week! 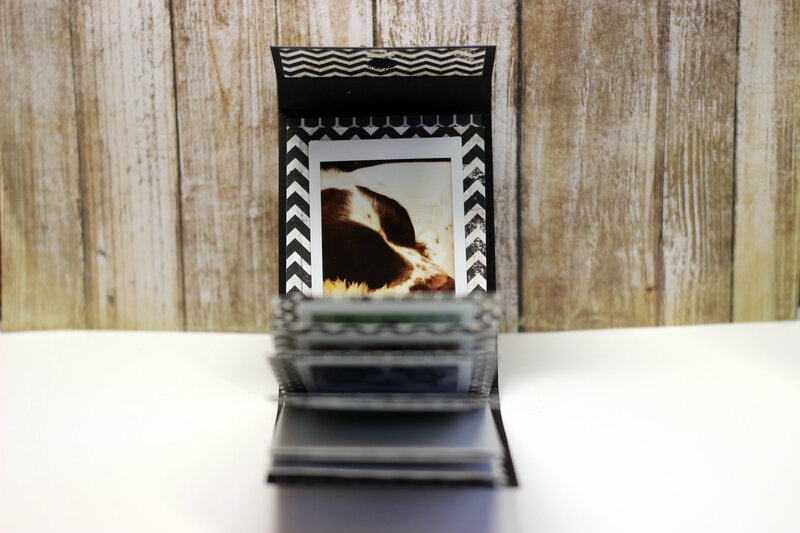 I made another polaroid photo wallet this morning for my doggy pictures of Chunky. 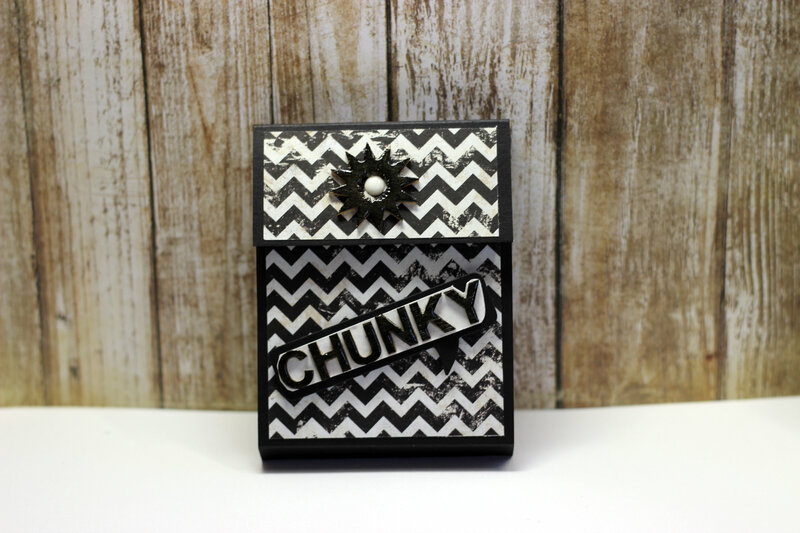 I used black card stock for the base which I got as a multi pack from Simon Says Stamp,it is their own brand.. I bought some wood shapes and alphas when I was over at Stampers Grove on Saturday, love these, and will pick some more up when I visit again next weekend, I inked them up with onyx black ink, but it wouldn’t dry so I covered it with a layer of stampin up crystal effects, which is the same as glossy accents. As always, thanks for popping round and I will see you next week.